The portfolio includes paper samples, etching proof for 'Gardens of Living' with colour experiment, colour note for prints, notes for writing the text, photographs taken in the tombs at El Kab, progress proof for Pliny's garden showing gradations of aquatint, drawing of the Taj Mahal, two sketchbook drawings of the Taj Mahal, material samples and type proofing. 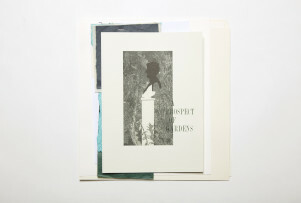 Portfolio for A Prospect of Gardens, Susan Allix, 2017. 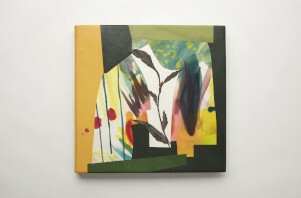 Crafts Council Collection: HC1105. Photo: Stokes Photo Ltd.